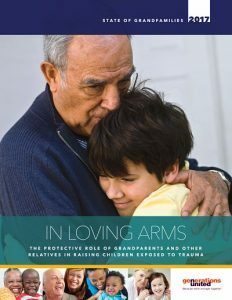 Grandparents and other relatives who step in to care for children, play an important role in mitigating trauma, which children in the child welfare system experience at starkly higher rates than the general population. Compared to those in care with non-relatives, children in foster care with relatives have more stable and safe childhoods and a greater likelihood of having a permanent home. They have better mental and behavioral health, and are more likely to report always feeling loved.